Kristen Iversen grew up next to one of the world's most notorious nuclear bomb factories, Rocky Flats in Colorado. Shrouded in secrecy when it opened in 1953 at the height of the Cold War, many residents living nearby initially thought the plant was making household cleaning supplies. 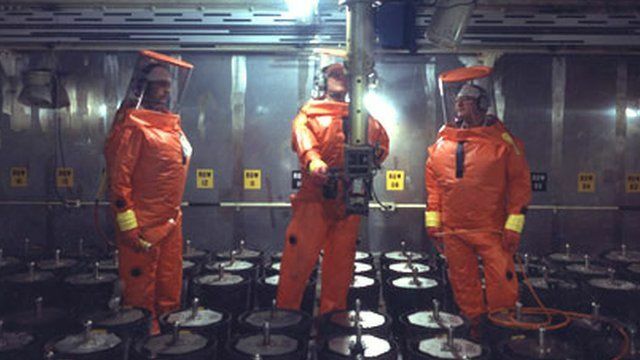 In fact, workers were building plutonium triggers for nuclear bombs. In her book "Full Body Burden: Growing up in the nuclear shadow of Rocky Flats", Iverson describes how her community was divided by the controversial work going on. She also catalogues the series of environmental safety breaches at Rocky Flats over four decades which ultimately led to the FBI raiding the plant in 1989. Weapons production ceased a year later. A huge clean-up operation is still in place at Rocky Flats and research is continuing into the long-term environmental and health effects of contamination from the complex. Produced for the BBC by David Eckenrode.